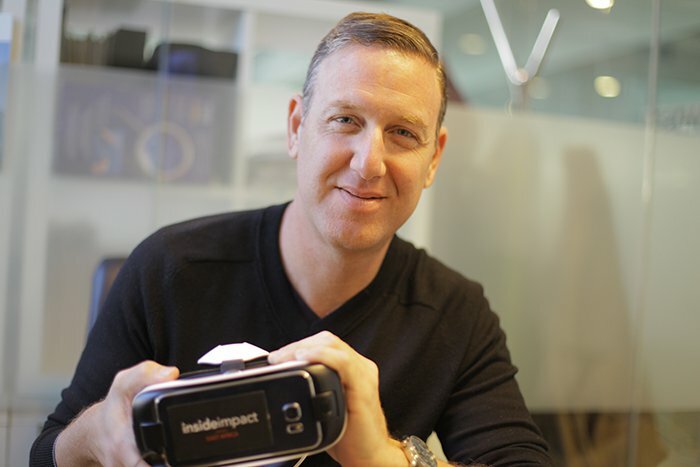 Find out why virtual reality is taking the nonprofit sector by storm. If you're like me, the causes you care about most are the ones you've experienced firsthand. Here's an example: Growing up in Buffalo, NY, a city with a surprisingly large refugee population, I had the chance to befriend people from places like Burundi and Myanmar. That inspired a lifelong admiration for those who risk everything to find a better life, and a firm belief that refugees everywhere deserve respect and support. I'll bet many of you have a similar story to tell about a cause you're passionate about. But what about the causes we can't experience directly? Take poverty in a place like East Africa, for example. Most folks are at least generally aware of the hardships millions face in economically challenged countries like Kenya, but how many people outside East Africa will ever have the chance to go to Kenya and see that poverty up close? You might have heard about how virtual reality (otherwise known as "VR") is poised to take the entertainment industry by storm. Thanks to a cutting-edge combo of programming and optics, users can now don space-age plastic goggles and immerse themselves in a range of VR experiences, from video games to short films to CNN presidential debates. The beauty and power of VR lies in its ability to put viewers smack dab in the middle of the action. Users can rotate themselves a full 360 degrees and take in the entire scene as though they were there in person. I've tried VR a couple times myself, and I can tell you that the effect is truly mind-bending. After a while, it really does feel like you're inside the world of the VR experience. Now imagine taking that immersive power and using it to help viewers experience a far-off issue in a whole new way. What could VR mean for the countless organizations trying to inspire support for important causes like, say, poverty in East Africa? Forward-thinkers in the nonprofit world are already starting to embrace VR, and a compelling new short film offers an early look at how organizations are using the technology for good. The Clinton Global Initiative recently joined forces with Matter Unlimited, a New York-based creative agency, and pioneering VR directors Félix Lajeunesse and Paul Raphaël to create "Inside Impact: East Africa," a virtual reality film highlighting the organization's work in East Africa. The 9-minute film takes viewers on a journey across East Africa, from a rural village in Tanzania to Kibera, a section of Nairobi, Kenya, that ranks among the world's largest slums. Our guide is none other than CGI founder and former US President Bill Clinton. I sat down with Rob Holzer, the founder and CEO of Matter, to find out more about the film, the VR storytelling process, and what's next for this groundbreaking medium. 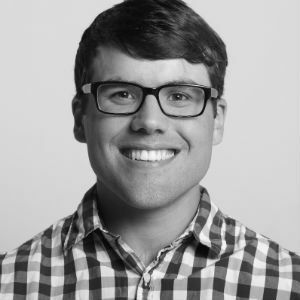 Hans Glick: How did your company wind up partnering with the Clinton Global Initiative to make a VR film? Rob Holzer: About a year and a half ago I got a demo of the [virtual reality] technology with Felix and Paul and Ari [Kuschnir, Executive Producer, m ss ng p eces]. The sensation and the experience blew me away, and I've been in digital for 20 years. At Matter, we work exclusively around social impact and shared value, and working with brands and nonprofits and corporations to amplify good. I really had an idea for what I wanted to use this technology for—to tell a story about what's going on in the world and what kind of real, on-the-ground work is happening out in the world. We had worked with CGI a couple years ago helping them with digital strategy, so I had a relationship there already, and also was deeply immersed in CGI's work. It was my idea to say if we could just show people what it's like to see this work happening, then that would be a really amazing use of this technology. So we put together a treatment, an idea, and then the project, which is now called "Inside Impact," and went and brought it to CGI and got them excited about it, and eventually got in front of the president, who decided he wanted to do it. to a radio to TV moment"
HG: How's it been working with President Clinton? Judging from his opening remarks at the CGI annual meeting last month, he seems pretty excited about the project. RH: Amazing. President Clinton is quite a unique person in the world, and it was an honor, really, to work with him and to travel to Africa and be a part of that experience. He's just one of those guys that brings it all home in a very succinct way and can be very inspirational a lot of times. So yeah, it was it was exciting and a real honor to work with him. Rob Holzer poses with the VR headset used to view the film. HG: This is the first in a series of VR films you're calling "Inside Impact." What's the overall goal of the series? RH: We're going to be working with other organizations and telling stories of positive social change happening in the world in this virtual reality format. The goal is not to just have a film out in the world, but a film and then an activation around it. How can we really drive action and whatever that is that we want out of this? So not just to have a piece of content, but a piece of content that actually connects people to the issue in a way I've never really experienced before. And how do we get more people involved, whether that's volunteering, or whether it's donating, or whether it's just having some awareness and sharing information about that particular issue. HG: Your company must really be sold on VR as a storytelling format. What does VR bring to the table that other formats can't? RH: This is one of the hardest parts about virtual reality. You can't talk about it. The truth is, you have to experience it. I've now played our film for thousands of people over the past couple of weeks. We did it at CGI, I've been at other events, and people have been asking me to come and play it. Everyone has a different experience, and everyone has a different connection, but everyone feels something very different than filmmaking—you know, than watching a 2D screen. "You really have to throw out a lot of what you know about filmmaking"
So it's tough to talk about VR, but I look at this as a massive paradigm shift. Being in digital for 20 years, I've seen gimics come and go, but I really think it's a paradigm shift equal or greater to a radio to TV moment. What will happen with this format? It's gonna go in a lot of different directions with a lot of different people. Our lane, and what we're focused on is live cinematic storytelling, and using the format to connect people much closer to their hearts on issues that are important to the world. HG: You mentioned having played the film thousands of times. What have been some of the best reactions from first-time viewers? RH: I have seen so many different reactions. People have been moved to tears. I actually had a journalist who does a lot of work in Africa ask me a number of questions for 10 minutes and then play the film. She came back and turned on a recorder like you did, got two questions in and just started crying. She just was so overwhelmed with the fact that this can connect so deeply to her own experiences, and she just was starting to feel the power of it, like what could this do, right? What could this do for storytelling? Someone who had seen my film very high up in the corporate world brought over the secretary of Turkey. Very stern man in a big suit with his security and they all that sat down in the lobby to experience the film. 8 minutes later he got up and was really moved, and then made a comment that he wished the technology was available 10 years ago because his mother passed away 10 years ago, and if he had had the technology, he would have been able to film her and he could still be with her today. I had the ability to play it for celebrities, heads of state, heads of nonprofits who've been doing this work, who've been saying "finally, we can really show people the experience of what it's like, our work." And lots of thank you's. It's been a really overwhelming thing for me emotionally to put out in the world. Probably the biggest and most emotional project I've put out. "The interesting thing with VR is that you are the camera. That's what it is." HG: VR filmmaking requires some pretty non-traditional methods and technology. How do the technical aspects of VR shape the stories you're able to tell? RH: It's a whole new way of thinking about filmmaking. You really have to throw out a lot of what you know about filmmaking. I think that that's one of the things that some of the early filmmakers and some of the early films that I had seen before were missing. They were treating it as documentary filmmaking and doing things like moving the camera and doing faster cuts, and trying a lot of different cuts and angles. Which for me, when I experienced those films, were jarring—sometimes it gets people sick, even—because it's a totally different experience. As we were going through the entire production, we were making decisions on what we wanted to capture but we were capturing it in a way that would give you this sense of calm and presence in the experience more than telling you the story. Because the interesting thing with VR is that you are the camera. That's what it is. People used to say, you know, "Give people a witnessing experience," or, "Don't tell people the story, allow them to experience the story," right? But this is actually doing that because the camera is you. So you have to think about it completely differently. I think that as things advance and things move along, we'll learn more about what where we can push and where we can't. But I think that the way we capture those moments and why people are so connected emotionally to our piece is because we get into these places, first of all, that are so rarified in some ways—to be in an intimate scene in Karatu with President Clinton speaking to a Solar Sister. The fact that you can be in that space and experience it is really kind of a special feeling. Or being in a classroom with the kids in Nairobi, in Farasi Lane, just allowing you to be there more than us having to dictate the story with the camera angles or faster cuts. "I want to able to put someone in that classroom and then have them meet that girl and have a conversation with her"
HG: Is there ever a concern that VR storytelling might stray into voyeurism? In other words, letting the viewer gawk at the poor without taking anything away from the experience? RH: I think there's always that flip side of the coin. Because we are going into a place that is people's lives and we're filming them. But I think that's one of the interesting things with VR is that it's very hard not to show the authentic experience. And I think part of even that scene in Kibera, in the slum in Nairobi, you notice people looking at you as they're walking by. And they're looking at the camera, but we knew that would happen and we wanted that because if you were a white person walking in Kibera, or just a wealthy person or someone different than someone living in that place, you would have that kind of experience. So we did want people to experience the way it would be. As far as the voyeurism, or the let's say exploitation in some way, of people in these situations, I do think it's difficult, and you do have to be careful about that. When we go to a place like Kibera, we're trying to just show you and allow you to connect in some kind of empathetic way to that circumstance. And it might be a bit voyeuristic, but I think the power of giving people an experience of understanding, really, what that's like, because now you've been placed into that environment, and it's as close as you can get without actually walking those train tracks—the experience that we're giving people is something that will hopefully be more positive than anything else. HG: What's next for the series? RH: It's been a flood of interest since launching it at CGI, and we're really excited about where it's going. We definitely have a couple of stories in preproduction for our next, and we'll announce them when we're ready, with some amazing organizations that we're talking to. Projects that I think will start to live out the goals of the project, which is let's take an issue, let's tell a story and connect people to it, and then work on trying to bring as many people into that to get involved. "A lot of people are scared that the technology is going to disconnect us. I think it has real power to actually connect us more"
HG: VR is such a young technology. Where's it headed? What will VR look like in a year, two years, five years? RH: Well if I knew that, Mark Zuckerburg would pay me a lot of money. But I think that ultimately, for us, where I see this is we're not just telling the story anymore. We're telling a story and bringing people into it. Already there's the ability to have conversations and interact in virtual reality that Oculus is working on and others are working on in the gaming space. So it's like, there's an avatar of someone else inside the space with you, and you're playing ping-pong and you're playing tetherball and you're remote-controlling tanks, and it's fun. It's just a glimpse into where this is going. I think that Mark Zuckerburg probably bought Oculus because he sees its ability to connect people in a new way. I think that that's the same for us. If we can tell a story and put someone in a classroom now in Nairobi, I want to be able to put someone in that classroom and then have them meet that girl and have a conversation with her and she is meeting that person in New York or in São Paulo or wherever someone's experiencing that, and there's an exchange of connection within the space. And I think that's where this is really going. And why I think that's interesting is because I know that travel and broadening people's experiences, as people do that, you can't help but understand the world more. You can't help but want to support people in a more human way. A lot of people are very scared that the technology is going to separate, disconnect us. I'm kind of more of an optimist. I think it has real power to actually connect us more. Understanding the larger scope of humanity than what we know today.